People ask, why do you want to move to Denver? Well here’s my answer. Contrary to popular belief, the weather is pretty awesome. 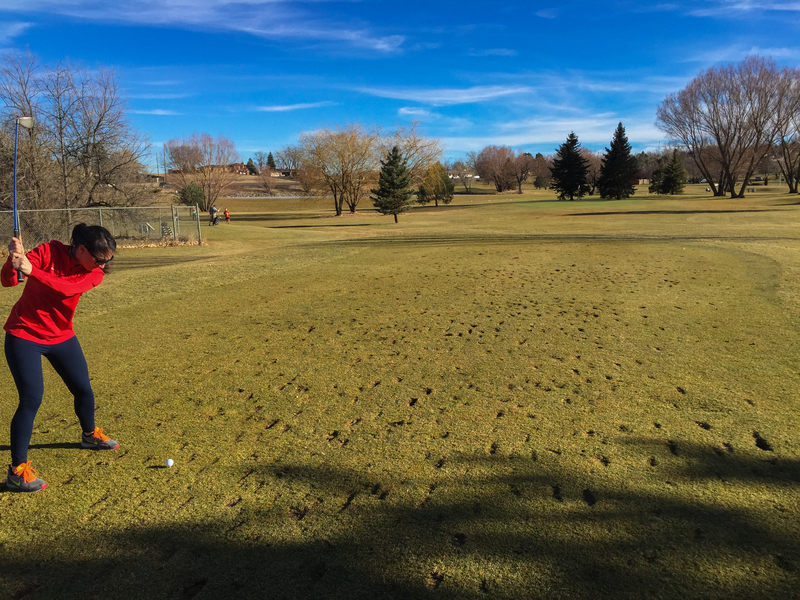 You can even golf in the middle of January! 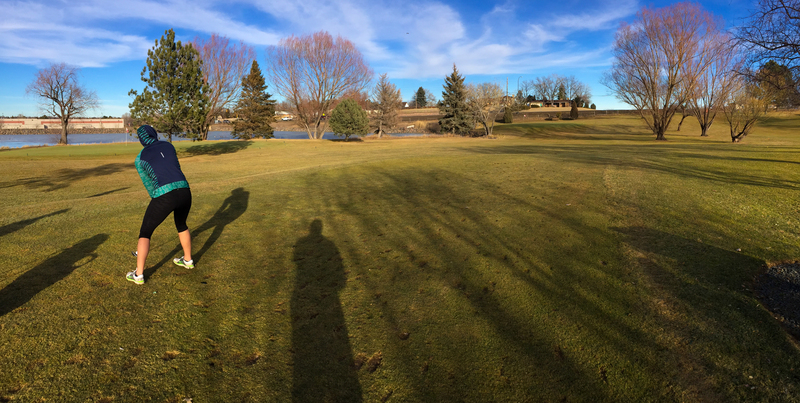 How cool is it that you can take in a round of golf on a course in pretty good shape that still has that week’s snow piled in the shadows? It felt good to land in Denver this Saturday with the sky as overcast as a Seattle summer and the next day the sun and the sixties were out for a fun day swinging a club before the sun would set again. And the best part is you can never truly lose your ball. You just have to sit at the shore of the pond and stare it sitting on top of a sheet of ice. Despite there being about 100 Canadian geese loitering on that fresh surface, I discovered it wasn’t thick enough for a person of my weight. Luckily I only dunked one foot in the icy waters and did not succumb to frostbite. I can’t really review the golf course I played, Indian Tree Golf Club. It’s just a fun place to get some quick swings in. Our foursome could have been done in under an hour if we didn’t get stuck behind Demaryius Thomas and family. Okay, it was actually just an obnoxious little boy in a Broncos #88 jersey. Since this was my first trip from home in like five years without golf clubs, I borrowed one. 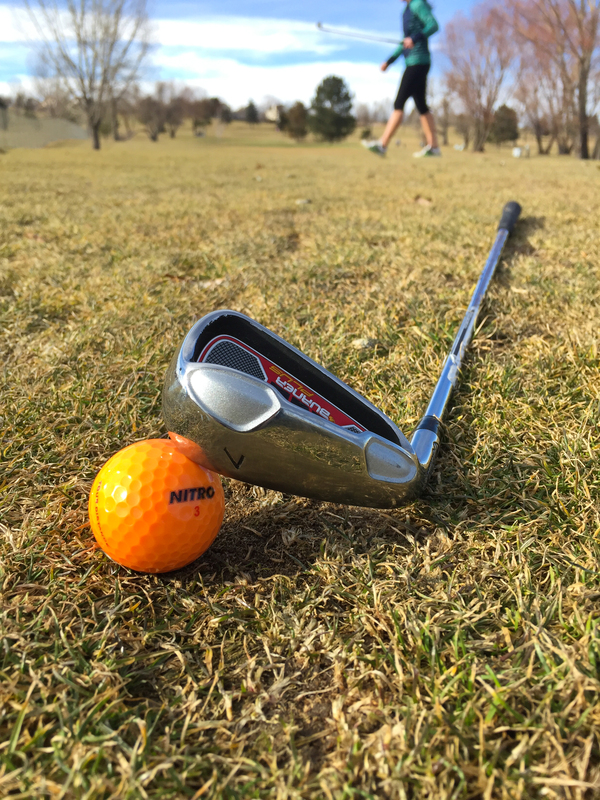 Just one, a 7-iron. Even with one of the holes on this par-3 course measuring 189 yards, I figured I could do well with a nice TaylorMade Burner seven, even with a regular flex. I guess a +10 37 isn’t the most promising indicator of where my game is right now, but it’s not easy running 100-yard half-shots on frozen tundra. And don’t try putting with a cavity back, I hit one putt sideways. Tin Cup was a movie of LIES! What’s my logic for moving from the tropical winters of Arizona for the more traditional cold season in Colorado? Well look at it this way. Arizona has the reputation for better golf (though Colorado might have the edge now from what I’ve seen). Add in the fact that the rest of the country sees us basking in the sun at the Waste Management Open during Super Bowl weekend while they’re tucked into their Snuggies only adds to this vision. But guess what? Sure, it was 78 and sunny here in Scottsdale on January 25. But it’s still January, the sun still sets by 6. So Arizona’s most enjoyable temperatures occur during the shortest days. What does the endless sunlight of summer bring? Hell’s furnace. It’s the opposite in the mountains. The nasty, cold blizzards come through during the shortest days. Those long summer nights in the 70s can be enjoyed until nine o’clock. Case closed. See you in a few months, Rockies. P.S. 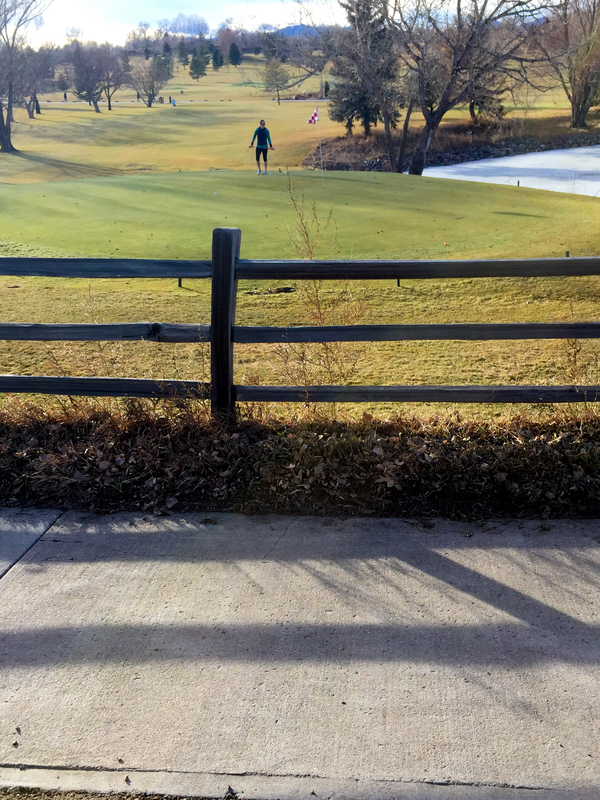 I do feel bad about hitting one of the geese with a ball from 150 yards out. There were dozens of them chilling on the frozen pond, and I acted surprised when my ball ruffled some feathers. But as someone in my group pointed out, “What did you expect to happen?” True, there was no way that ball was getting through an entire gaggle of geese unscathed. Maybe it’s just minor payback from when earlier in the day I waited at a crossing for ten minutes while twenty of those birds waddled across the street. This was just my reminder, next time, show some urgency there geese. 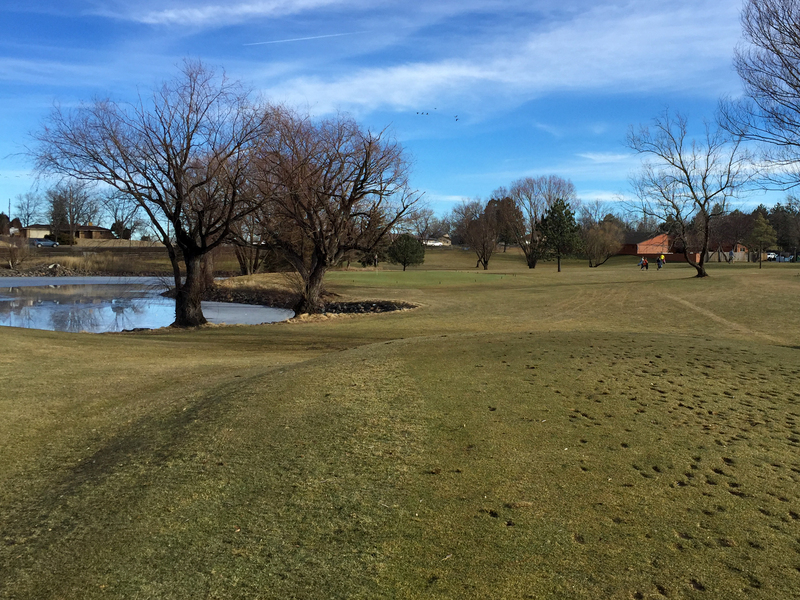 Golf in January is never a bad thing! I wasn’t aware you could do it in Colorado. Thanks for sharing the experience!